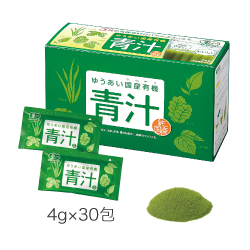 A Japanese manufactured Health supplement that is particular about raw materials and results. ・Great green juice・・Organic green juice made with only green leaves and completely additive free. 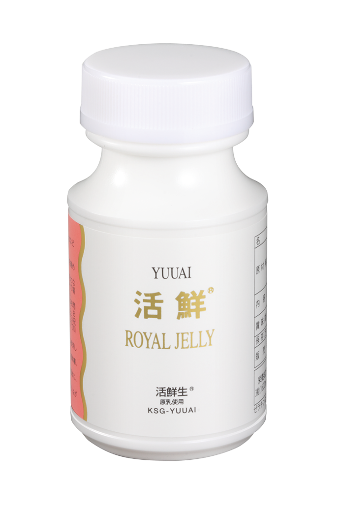 ・Scarce royal jelly of honey which is totally free of any antibiotics・・The tablet is made of 100% fresh royal jelly without cutting out propolis or pollen. Yuuai CO. is the only company making these kinds of particular products in Japan. Of course, due to the particularness of our products being additive-free, chemical-free and all-natural the costs are a little bit higher..
Yuuai CO. is a historically based company. 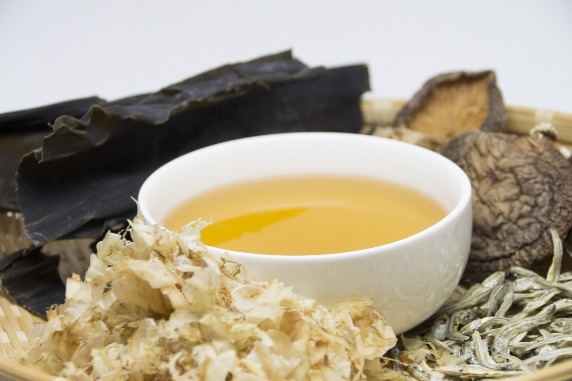 Your health will be positively changed from using Yuuai products ! Please watch the trailer of the product for its background story, provided below. Organic barley grasses, Organic mulberry leaves, Organic Kales, Organic green tea, Organic sesame young leaves. Salt(Sun-dried salt),Sugar beet(natural), Powder of bonito, Dextrin, Powder of extract of Bonito, Yeast extract, Powder of sea cabbage. Royal jelly, Starch syrup of reduced malt sugar, Starch, Powder of sea weed, Vegetable oil containing vitamin E, Calcium of shell, Microcrystalline cellulose, Corn protein, Vegetable oil, Arabian gum, Carnauba wax, Gelatin, Glycerin. Our health supplement is wholly considerate about raw materials and results. We at Yuuai co, started to sell health supplements about 35years ago. 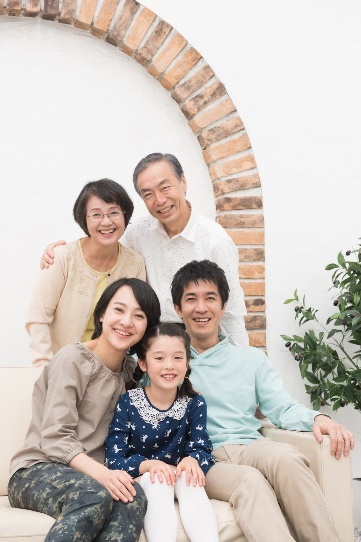 During the period of high economic growth in Japan, rich people could have good lives, whereas a lot of people were getting weak, and suffering from sickness due to their poverty. In that period, many people had wealth, but many also lost their health. Throughout the world where everyone wishes, day by day people’s concerns about health are increasing. 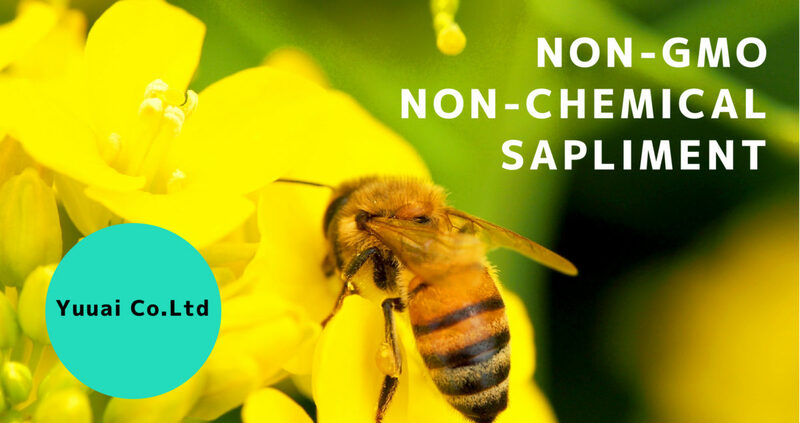 All of our products are NON-GMO and Non chemical. A lot of people love our products due to our attempts to strictly select raw materials which are able to directly deliver natural power to our customers. When you usually use typical health supplements, you might doubt whether they are truly beneficial. A lot of companies around the world sell health supplements. because they are not for health, but for profits. Chemical additives weaken natural nutrients. We wonder how much natural nutrients those kinds of health supplements really contain. We object to deceitful practices by essentially considering peoples’ health. It is called 「Perfect organic」. It is revered among western people who are concerned about their health, due to its nutrients which are equivalent to as much as so many vegetables. This particular green juice was born in Japan. Normally, in order to cut down costs of production, the stalks of plants are used in bulk, and artificial sweeteners are used to make it tastier and sweeter. 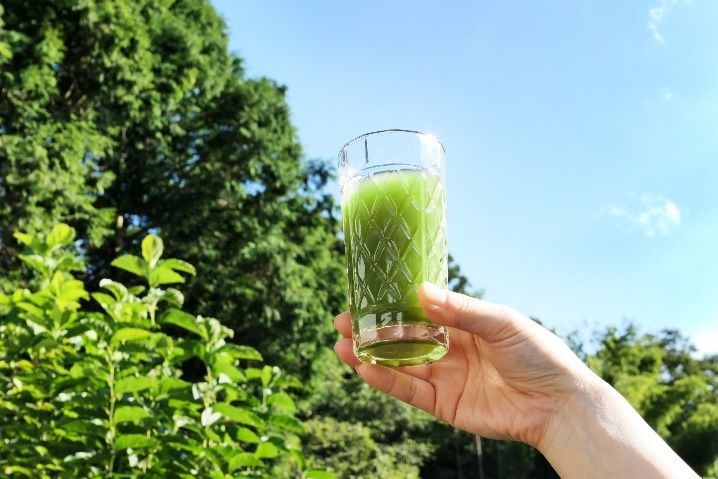 However,「Our product, Japanese organic Aojiru(green juice)」 is only made of leaves of organic vegetables picked in Japan. And of course, it does not contain artificial substances such as sweeteners. However it is really tasty to drink. And if you put it on various dishes of your liking, they will increase in deliciousness. Please try to enjoy using our Aojiru(green juice) to recreate dishes for your kids. Even for kids who do not like vegetables, it is really tasty. What could be healthier !. Soup stock is a necessary ingredient for Japanese food culture and is a source of Japanese health. Japanese traditional soup stock is only made of natural raw materials. However, many modern products in markets are mostly chemical seasonings. 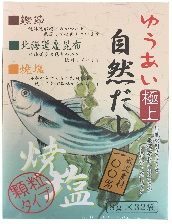 「Our product, Gokujou natural dashi(soup stock)」 doesn’t contain any chemical seasonings at all. These traditional flavors of Japanese natural raw materials burst in your mouth. This is the essential flavor of Japanese traditional soup stock. It is commonly known that the nutrients of royal jelly are high. We make our royal jelly using honey freshly collected at an apiary in Thailand. Sterilization at low temperatures is a meaningful part of the process. Over 40 degrees, the nutrients that royal jelly originally has will fade away. Why the apiary in Thailand? Nowadays, starting with many western countries, makers that are particular about pure royal jelly and honey tend to change their production to Thailand to secure safeness. And now most honey and royal jelly in Japanese markets are made from honey bees administered with antibiotics to make production rates greater, and protect from diseases. Once we heard about this information, we decided to immediately relocate our apiary to Thailand 20 years ago. We were the first to do so in Japan. The processes are not the most efficient because of the much needed time and labor required for production, which causes the production rate to decrease. However, if we do not we take this way, we cannot deliver the「healthiest」 product to people. We would like to deliver health to all people for their daily lives. The factor which is contained in our company’s wish is not only our products. We truly wish to fulfill comprehensive health for all our customers. 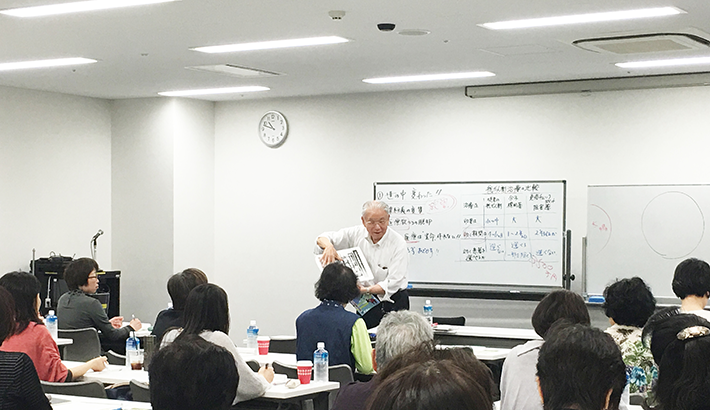 We hold lectures and seminars in the areas where the users of our products live. We would like to support the health of people by connecting with various people. Health of individuals will become combined with the health of their family and friends. This, we believe, can finally contribute to the health of society. Our corporate identity has been 「to contribute to the health of societies」 since 1982 when we started this business. We would like everyone to be correctly informed about the foods that support our daily lives. Our founder was born in 1940. He is full of energy even now. He takes business trips to various regions for half a month each month. Our products are a result of his vigorousness. Please try our health supplements made from materials rigorously selected. We are sure that you will feel the difference. Because the results we’ve seen and the raw materials used are sure to prove it to be so.